The Grocery Foundation is a provincial charity that helps tens of thousands of school-aged children and youth receive access to proper nutrition. They have a number of initiatives, including campaigns like Toonies for Tummies and the School Voucher program, that helps make nutritious foods more available to school breakfast programs. 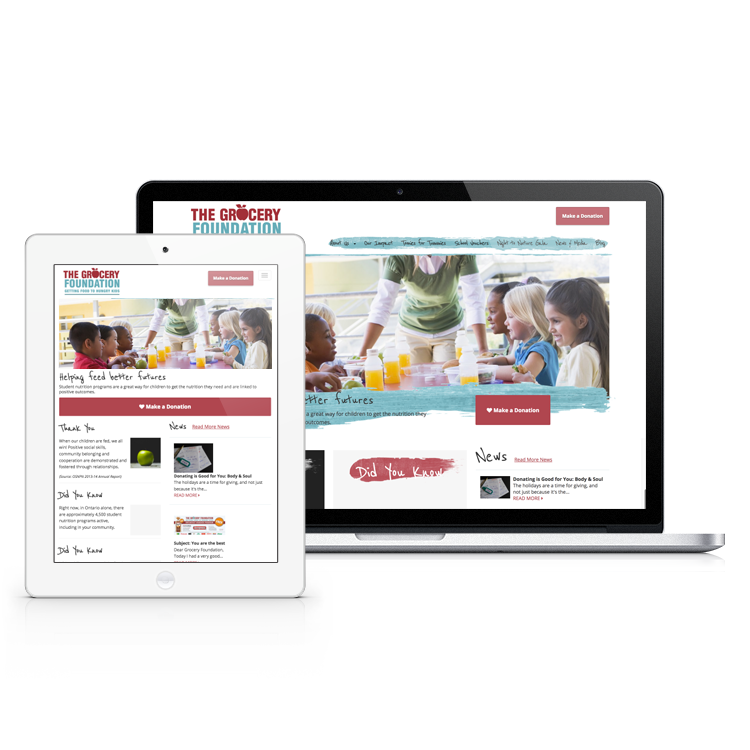 They wanted something that was a little more childlike to help create the connection between the website and children. In addition to bringing in more playful elements like the handwritten font and the painted brushed elements, we also made it easier for users to donate to the foundation and made the partners and sponsors more prominent throughout the website.